Yale University’s latest alternative investment? 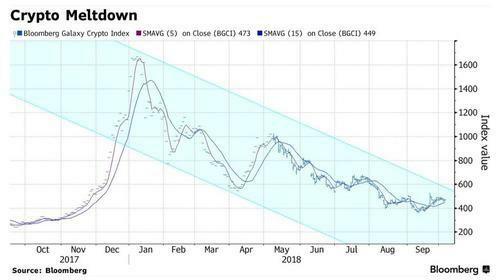 No, not Puerto Rican bonds again. This year, Yale is taking the plunge into cryptocurrencies. The school with the second largest endowment recently helped a new digital asset fund raise $400 million, according to Bloomberg. The fund is called Paradigm and it was started by the co-founder of Coinbase, Fred Ehrsam with former Sequoia Capital partner Matt Huang. They were joined by Charles Noyes, an ex-employee of Pantera Capital. We did a brief profile of 19 year old Noyes back in June of this year, highlighting this new project and some of the partners he was working with. The unorthodox capital allocation move is part of a larger diversification strategy that will see almost 60% of Yale's assets in 2019 targeted for alternative investments. These include venture capital, hedge funds and leveraged buyouts. And now, bitcoin too. Yale's nearly $30 billion endowment, managed by iconic investor David Swensen, is one of the only few major institutions that has invested in the cryptocurrency market which has fallen hard this year after an incredible run in 2017. Bloomberg, which first reported this allocation, was unable to find out Yale's total investment in the new fund. 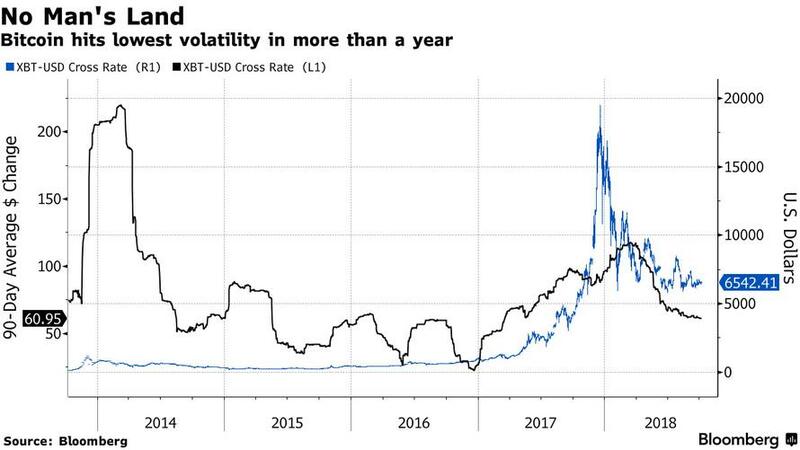 Certainly, institutional capital could help stabilize the crypto market, which after a furious selloff in early 2018, has not only stabilized but shown a dramatic decline in volatility. However, the lack of regulation - and occasional staggering incidents of theft - has keeping major investors out of the market. According to Bloomberg, 96% of endowments and foundations said they didn’t want to invest in the burgeoning industry. Regulatory concerns and market manipulation concerns still loom large over the industry. However, now that respected endowments are making inroads, could this be just the "adoption" sign that cryptocurrency fans have en waiting or? Swensen’s endorsement of crypto assets is significant because he’s considered a pioneer in institutional investing, having managed one of the most-watched and best-performing college endowments for three decades. Many other endowments have sought to replicate his investment model, which favors a longer time horizon and committing capital to more illiquid assets, including private equity. In addition to Yale, Paradigm also listed Sequoia Capital as an investor. Paradigm plans not only to invest in digital coins, but also to invest in early stage projects focused on cryptocurrencies, blockchain and crypto exchanges. Yale's investment comes at a time when some are even calling Bitcoin "boring" for trading in such a tight range recently; alternatively this may be just the entry that institutions have been waiting for. With Yale's entrance, many more may soon follow: the New Haven Ivy is a longtime investor in Andreessen Horowitz, which recently launched a $300 million crypto fund. Yale also has invested in this fund, CNBC earlier reported, citing unidentified sources. And in a testament to just how placid the crypto space has become, the news was greeted with... a shrug. Which, on the surface, reveals that at least some of the speculative cash that was in cryptocurrencies has probably moved into other trendy bets like marijuana stocks. 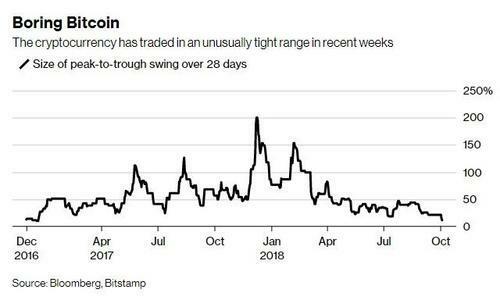 In fact, having traded in a narrow range for the past few months, Bitcoin shows few signs of breaking out of its malaise. It was little changed on Friday, hovering around the $6,530 level as of 6:54 a.m. in New York. “It’s been pretty flat for so long now,” said Stephen Innes, head of AsiaPac trading at Oanda. "That doesn’t really entice investors." Correction: it may not entice momentum chasing retail traders, but could be just what the big institutions have long been waiting for. As CCN reported recently, Wall Street strategy firm Fundstrat recently conducted a recent poll of cryptocurrency investors which found that, perhaps contrary to popular perception, institutional investors are more bullish on bitcoin than their retail counterparts. According to the survey, a majority of institutions expect the flagship cryptocurrency to end 2019 above $15,000, an increase of about 130 percent from its present level below $6,600.